The Economic and Social Council of Greece publishes both electronically and in print its Opinions. It has issued the "Information Bulletin" till 2008 and since 2008 it publishes the periodical "Social Dialogue" which includes articles on issues of economic and social policy as well as information on its activities. 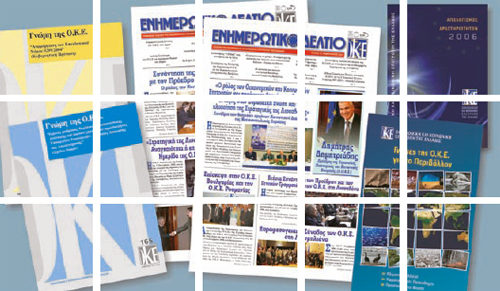 The publications are sent to thousands recipients in Greece and abroad. It also issues its annual report of activities, the minutes of its activities and various other informative leaflets and books related to the field of ESC and its activities.